The list of hotel chains releasing their hotel category changes for 2019 continues to grow. Hyatt and their World Of Hyatt program are now in the fray. They follow Marriott, IHG, and Radisson who have already announced their changes for this year. Between the four hotel chains there are now a total 42 hotels in Canada changing award night categories. Hyatt's changes will take place on March 18 and affect a total of 259 hotels around the globe. The split in locations is pretty even with 130 hotels moving up in category and 129 going down. 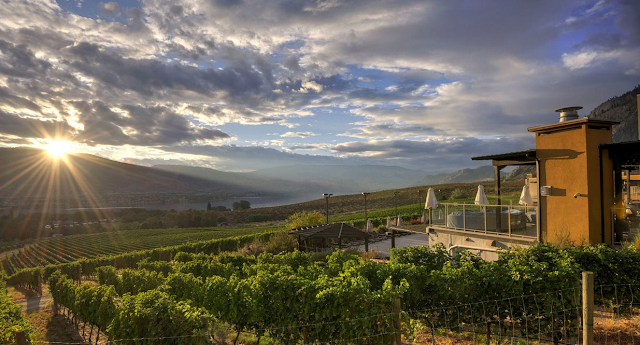 Only one of the nine hotels they have in Canada is changing and that is Spirit Ridge in Osoyoos B.C. Good news for this change is the hotel is one of those going down! World Of Hyatt isn't as major of a player in our market like the other big chain loyalty programs since they don't have a lot of hotels here and have no credit card option (unless you still hold the Diners Club Mastercard!) but I do know a fair bit of our readers do utilize the program thanks to Hyatt's foot print in major cities worldwide. So if you are a World of Hyatt member take a look at the complete list of hotels changing categories if you have had some redemptions in mind and take our usual advice of booking before March 18 for any hotel that is going up and the good news with Hyatt is that you don't have to wait to book hotels going down as Hyatt will automatically refund you the difference in points after March 18. We'd love to hear from those of you who are World Of Hyatt members here in Canada and are using the program regularly - what do you think of the changes?